9 to 5 Mac reports that Apple appears to have acquired Wi-Gear, a small San Francisco-based company that offered highly-touted Bluetooth headphones for the iPhone and iPod known as iMuffs. Apple plans to build its own stereo Bluetooth headphones for future iOS devices and MacBooks with technology and expertise from Wi-Gear. As you'll recall, Apple didn't have a great amount of success with its own Bluetooth headset and instead of building in-house for their new product, decided to pick up the small Wi-Gear outfit. 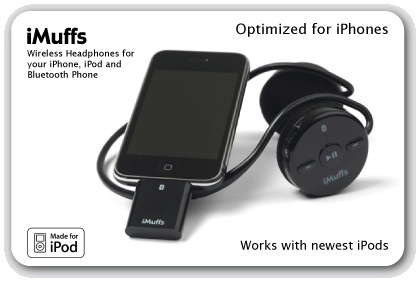 Wi-Gear offered its iMuffs headphones as a standalone product offering basic integrated music controls, as well as a dock connector adapter to provide full control via Bluetooth and compatibility for iPhones and iPods without built-in Bluetooth support. In support of the acquisition claim, the report notes that the company's co-founder now lists his occupation as "iOS Bluetooth Engineer at Apple Inc." on his LinkedIn profile. 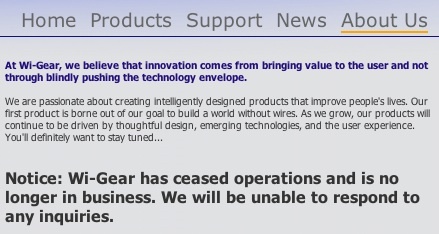 Update: The claim has been refuted by Wi-Gear's CEO.